Central Rural Electric Cooperative Designed And Built By PARIC Corp. The new two-story office at the Central Rural Electric Cooperative consists of 44,000 sq. ft. of administration office space and features a state of the art Strategic Operations Center. The data center component was designed to a Tier 2 status. The project was designed with RF shielding in the mission critical space to protect the area from electronic tampering. This facility contains a hardened infrastructure, redundant cooling and power, full generator and UPS backup, and access control with a complete security system. 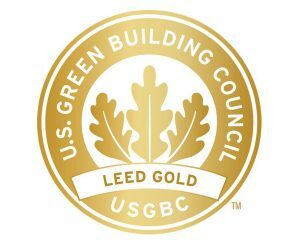 This project received LEED Gold Certification.